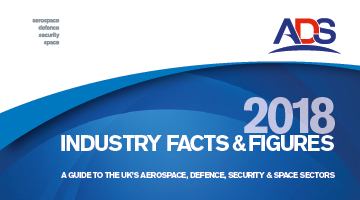 The 2018 ADS Industry Facts and Figures guide shows the extent to which companies in our sectors serve as the industrial backbone of the UK – delivering the well-paid jobs and high-tech exports we need to secure a prosperous future. 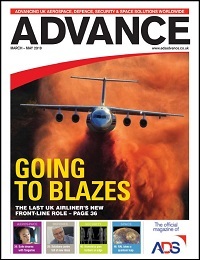 As the national trade association for the UK’s Aerospace, Defence, Security and Space sectors, ADS works to promote and support their interests both at home and abroad. Spanning the length and breadth of the UK, ADS’ 1000 member companies include over 950 SMEs. The UK’s Aerospace sector is world-leading, generating well-paid jobs, high-tech exports and sustainable growth across the country. The UK’s Security and Resilience sector provides solutions to the challenges we all face today, from cyber security to products and services which address the threats of terrorism and all other aspects of national security. The UK’s Space sector is at the cutting edge of exploring the universe and connecting people to the world around them.